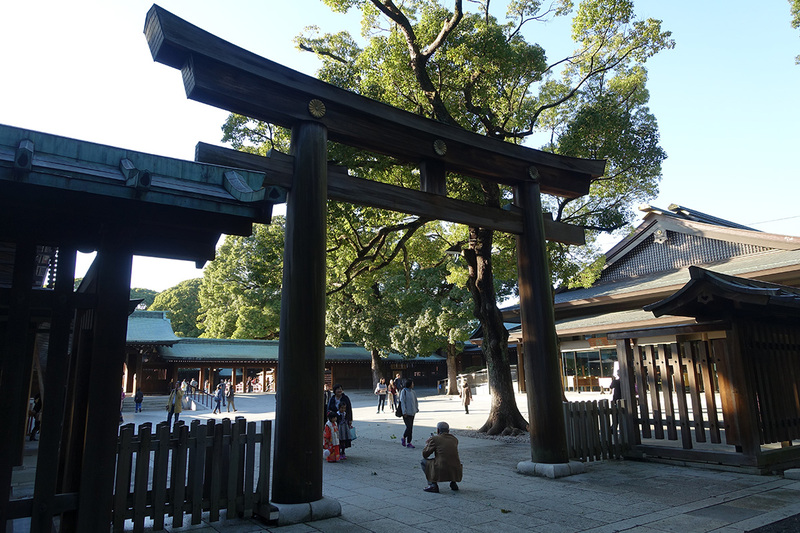 We eventually made it to the Shrine area, which had a very impressive entrance gate. 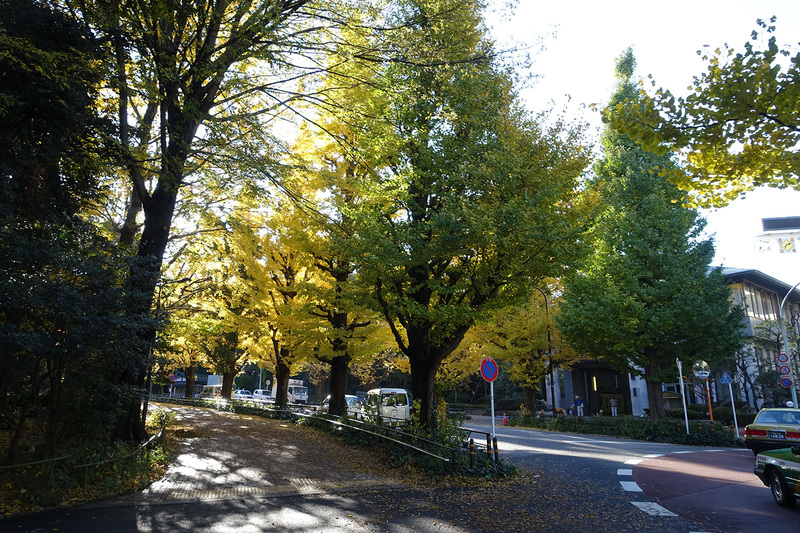 There were hundreds of trees lining the path, all from different parts of Japan, and we quickly forgot that we were in the middle of the city. 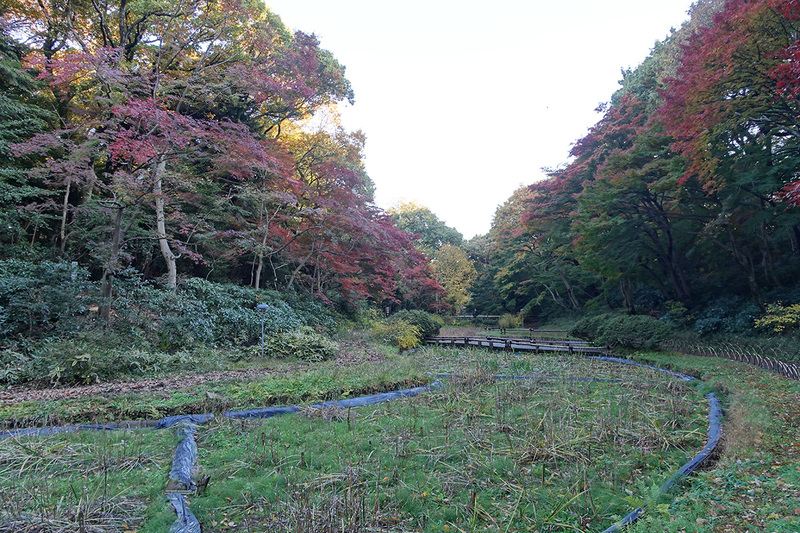 Despite the trees losing their leaves at this time of year, the gravel path was immaculately kept with very few leaves on it. 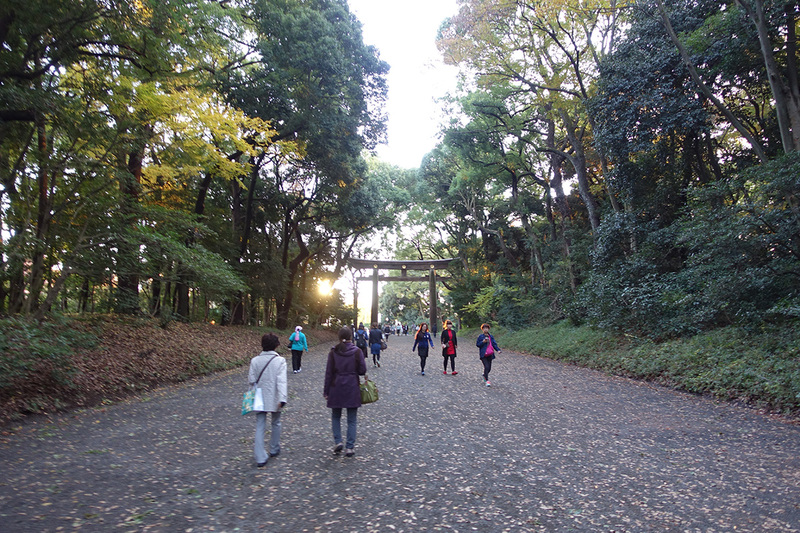 We found out how this was possible as we neared the shrine and came across a man who was sweeping up all of the fallen leaves from the gravel. Here is a closer shot of the gate through which we entered. 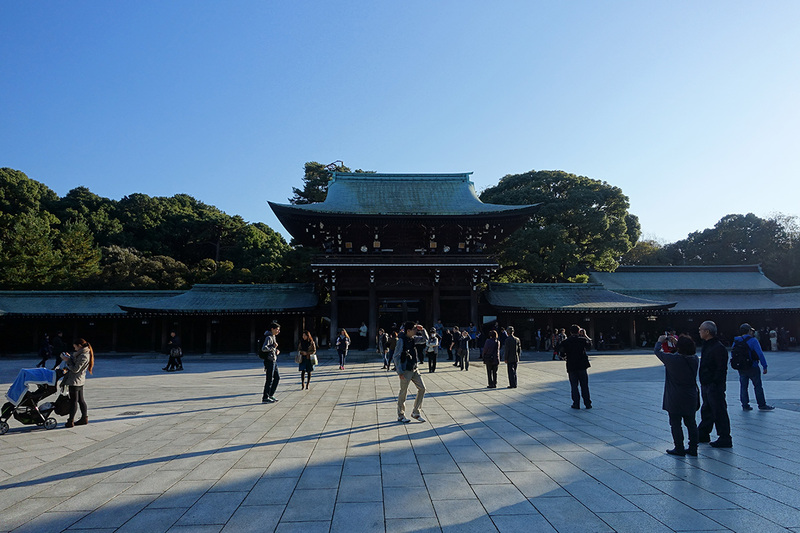 Once inside, we approached the main shrine buildings. 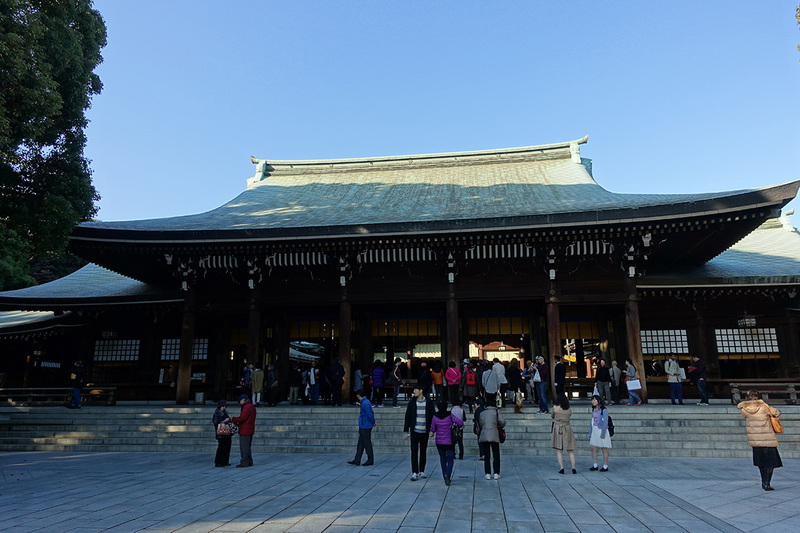 The buildings were destroyed in the WWII air rads of 1945 and rebuilt in 1958. This is the gateway to the main courtyard. 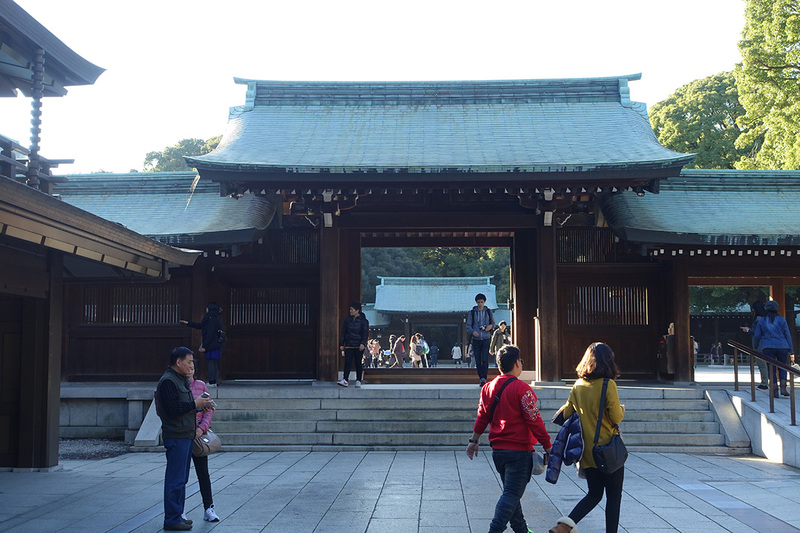 The main shrine building was impressive and we paid our respects by putting our coins into the offering box, bowing twice, clapping twice, making a wish, then bowing again. Here’s a view of the entry directly across from this main building. As you can tell by the long shadows, the sun was setting so we left the shrine itself to stop by its Iris Garden before the whole facility closed at 4 p.m. 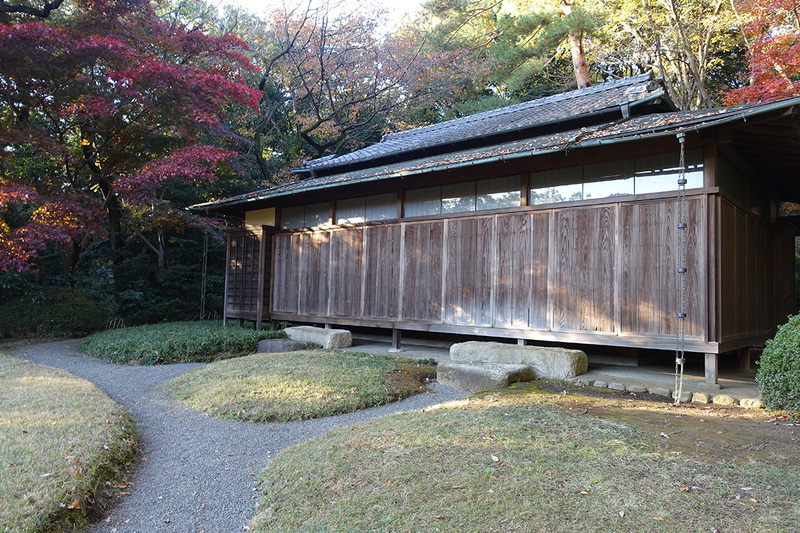 This tea house was near the entrance of the park. 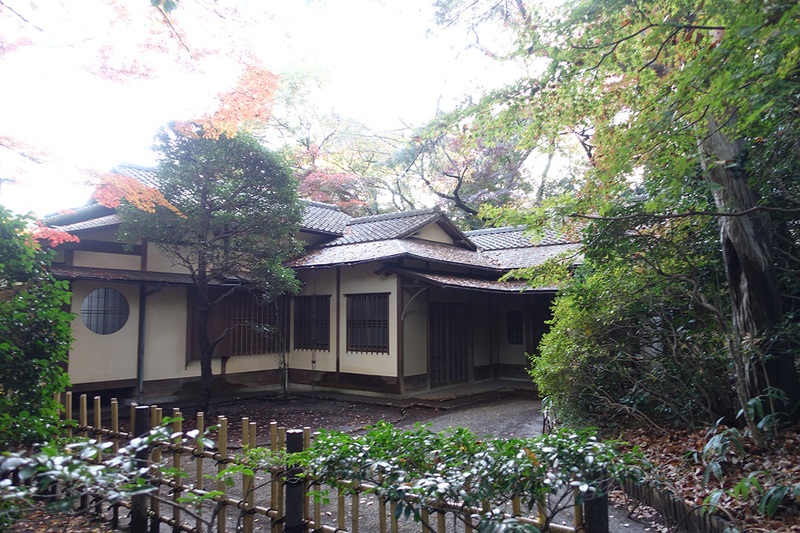 The grounds behind the teahouse sloped down to a pond with artfully placed and immaculately kept shrubs and trees. 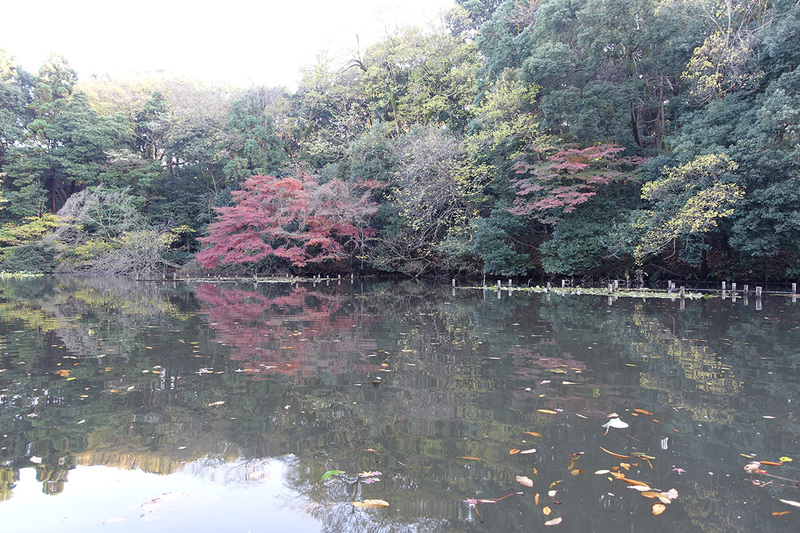 The gentle grade sloped down to a pond where we were able to see the fall colors reflected in the still water. 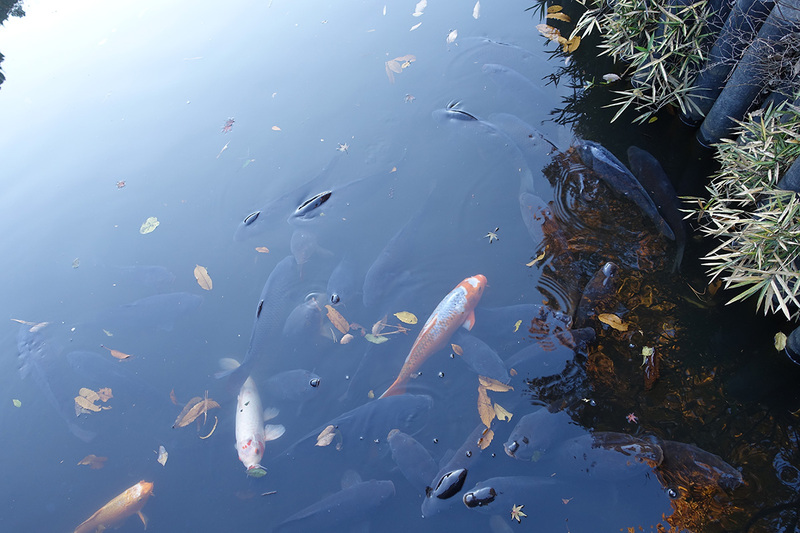 The fish in the pond appeared happy and, admittedly, I would be, too, living in a location like this. 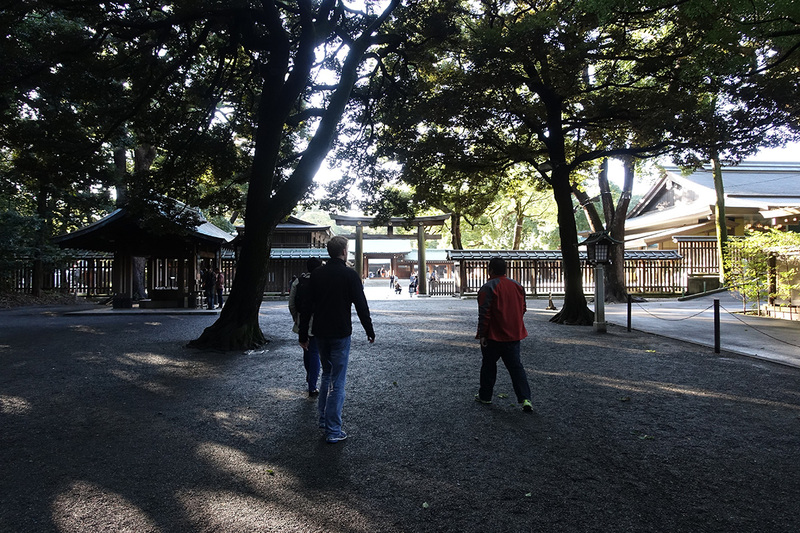 The pathways meandered throughout the garden and, once again, it was difficult to remember that we were right in the middle of one of the world’s busiest cities. 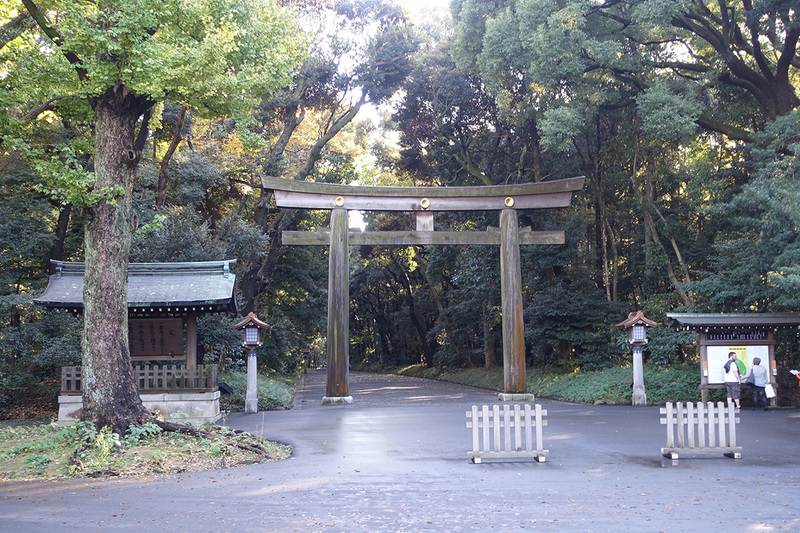 The Shrine Park was finally closing so we headed back towards Harajuku. 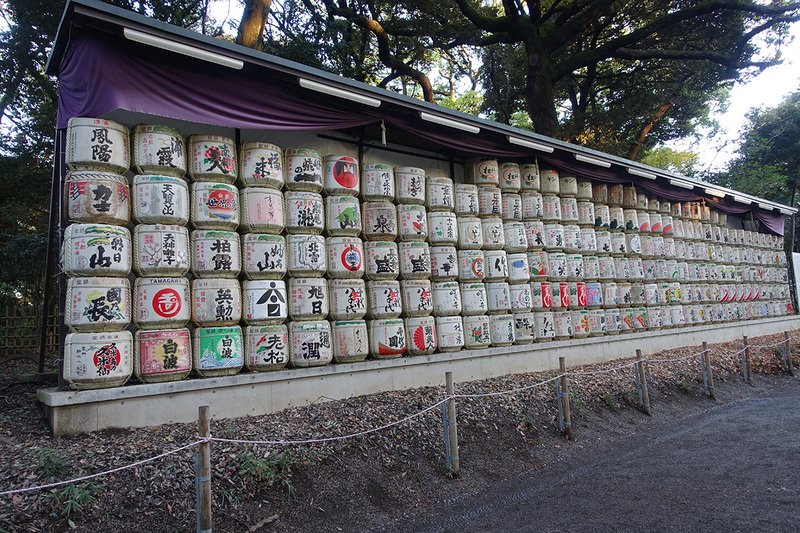 On the way, we passed a massive display of sake barrels. 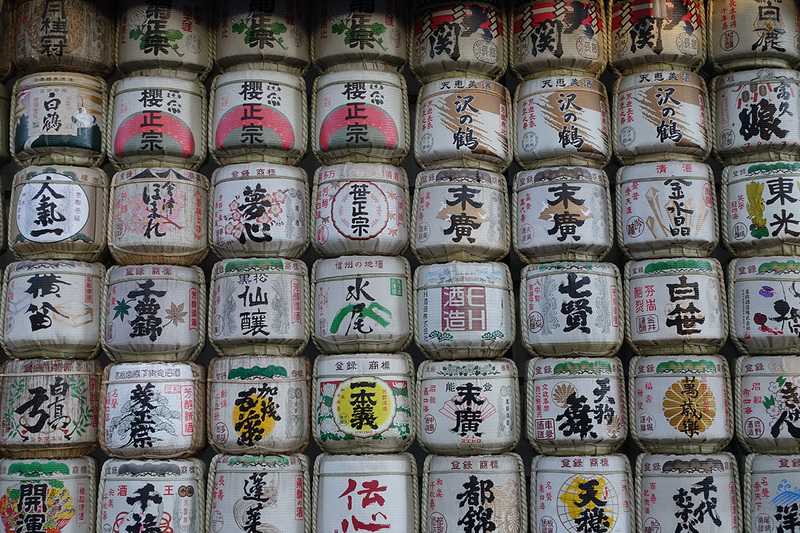 Here is a closeup of some of a few. 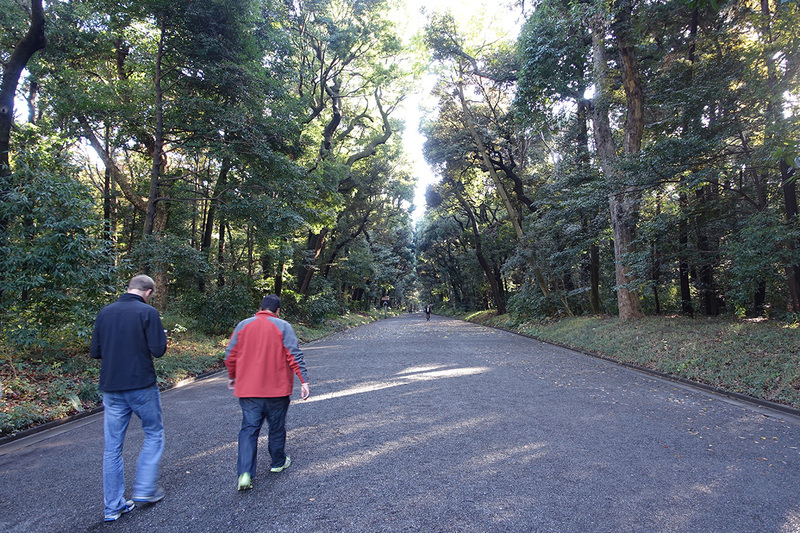 And with that, we left the Meiji Shrine area just as the guards were closing up for the day. 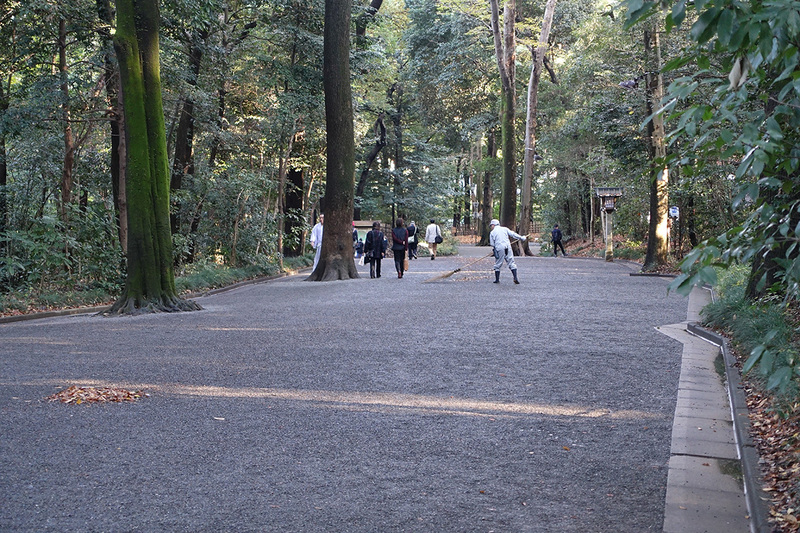 We found ourselves back in Harajuku and were immediately transported from the calming forest to a more modern city thanks to some street performers on the bridge. I admit that they were quite talented. 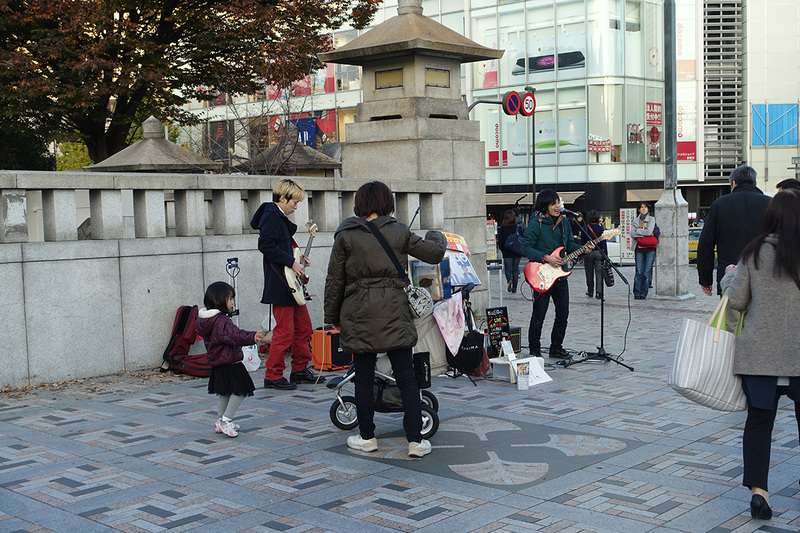 As we walked back to Shibuya, we wandered into an area where people were people were gathering for a concert. The selfie sticks were out in force! 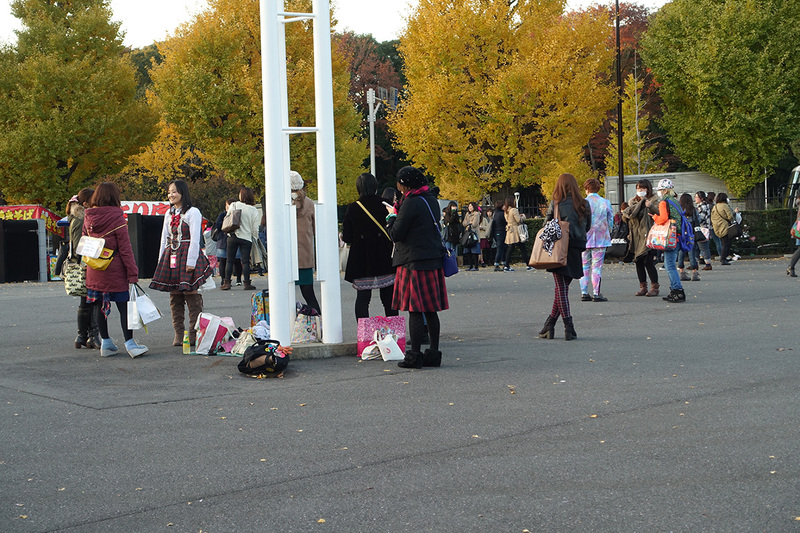 I managed to sneak a photo of some of the waiting attendees so you can see how stylish they were. 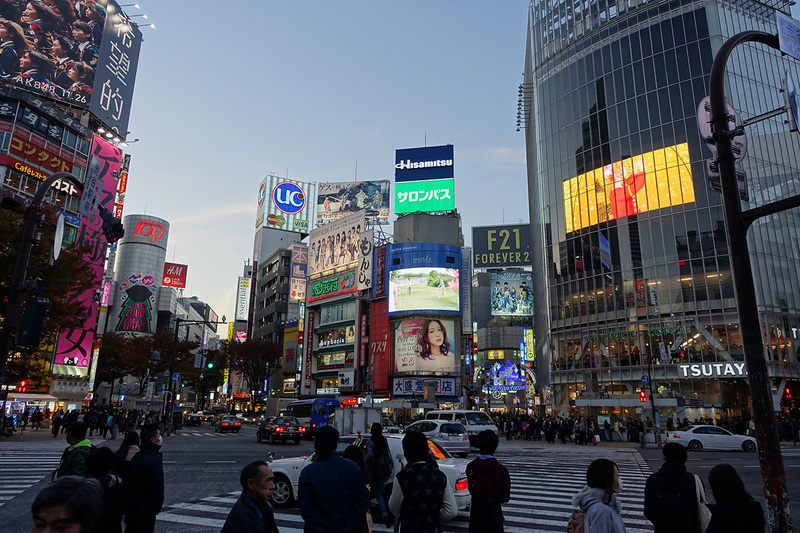 We arrived back in Shibuya as darkness began to fall and with that I’ll end this post and reserve the gripping tale of our Thanksgiving feasting for the next.